Updated 3 Bedroom/1 Bathroom Home - One Car Garage! Beautiful 2 Story 3 bed/2.5 bath Condo in the Gated Community of Heron Cove! – Community Pool! 2 Car Garage! Garbage & Lawn Included! 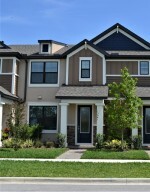 BRAND NEW 3 Bed/2.5 Bath/2 Car Garage- Townhome in Starkey Ranch!! !